The days of waiting in line for foie gras sausages are about to come to an end, my friend. Today, the Hot Doug's website was updated with a disclaimer that reads, "permanent vacation begins Saturday, October 4." 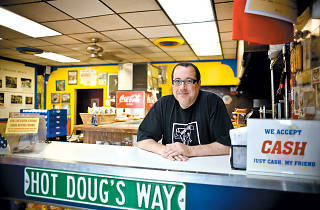 DNAinfo confirmed that the beloved Avondale hot dog restaurant Hot Doug's will be closing permanently on October 3. 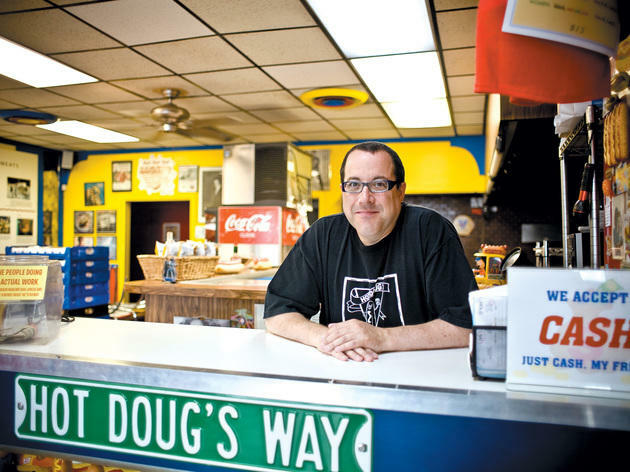 Owner Doug Sohn told DNAinfo that "For me it's time. There really is no overwhelming reason other than it's time to go do something else." We're expecting longer lines than usual this summer, as fans flock to the shop to say goodbye to Chicago's finest purveyor of encased meats. We're also feeling a little bit sorry for anyone who got a Hot Doug's tattoo expecting a lifetime of free sausages. Most of all, we're excited to see what Sohn does next, even if it doesn't involve sport peppers, celery salt and mustard.